Work is progressing on taking apart one of the "highest hazards" in the UK civil nuclear industry. 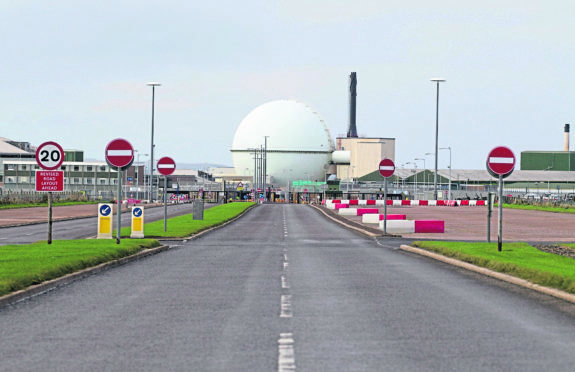 Dozens of anti-nuclear campaigners from across the north are to descend in Inverness tomorrow in protest over the transportation of radioactive waste from Dounreay in Caithness through the city en route to Sellafield in England. Campaigners from both Highlands Against Nuclear Transport (HANT) and Cromarty Peace Group (CPG) will join forces at the city’s train station to highlight the dangers they claim are being imposed to the region. The demonstration, taking place from 10am, comes just one month after a train carrying nuclear waste skipped a red signal near Kingussie as the Caledonian Sleeper service was heading north. Inverness, Nairn, Badenoch & Strathspey MP Drew Hendry echoed his sentiments, claiming it was completely unacceptable. He welcomed the news that residents across the region were continuing to take a strong stance on the matter. He said: “Disappointingly, the incident at Kingussie reaffirms the dangers of operating nuclear facilities and moving toxic nuclear waste through communities, and for DRS to say that there was no risk is simply not acceptable. “People across the Highlands have been clear, they do not want nuclear waste transported through their communities and I am sure this peaceful demonstration will be very well supported. This sort of incident cannot be allowed to happen again. “Nuclear not only poses a threat to our environment and our communities, it is also set to cost consumers and taxpayers a fortune. The transportation of nuclear waste is conducted by rail operator Direct Rail Services and have been in operation since 2012, with an estimated number of journeys of around 40 and 50 per year.